Here are all my old projects and things I have messed around with. Nothing here is supported anymore, but you are free to use anything you like! Enjoy. 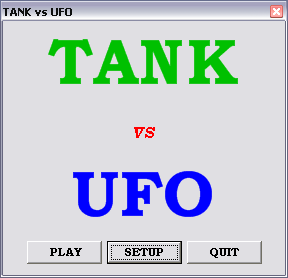 This is another little game I decided to started up. 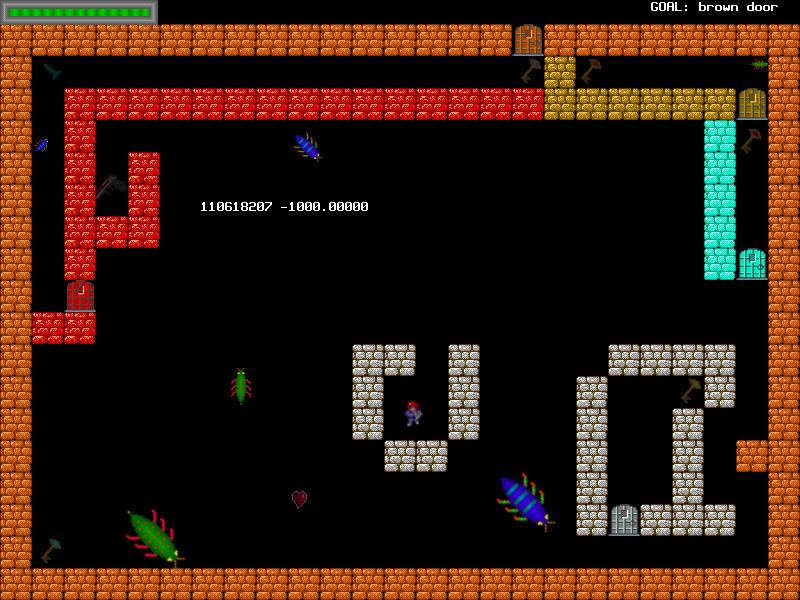 :) Basically, it's a one screen per level deal. The goal is to get to the brown door and open it. The doors are locked... You must also run away from or kill the bugs! There is no time limit, so you can take your time here. It's a very short game, no sound or music. Enjoy! I take NO responsibility for any harm done to you from how cheesy it is, nor to your computer! This is an "AS-IS" software package, and you can freely distribute it as long as it remains intact as you originally got it from this site. 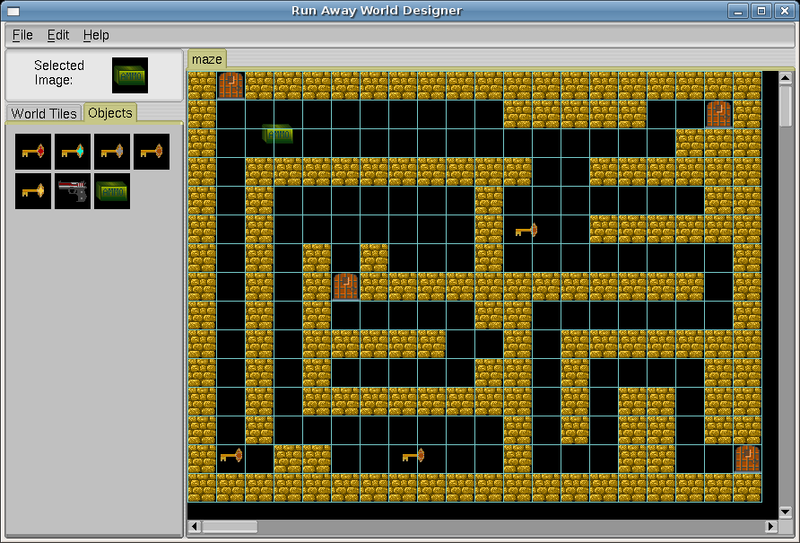 Below is the designer I started, but stopped working on in favor of the more robust 2D World Designer. This is what started me on the 2D World Designer. =8D Sorry, no MacOS version. In my edition, I added capability to select Fullscreen or Windowed modes. Other than that, the rest of the code came from the book. 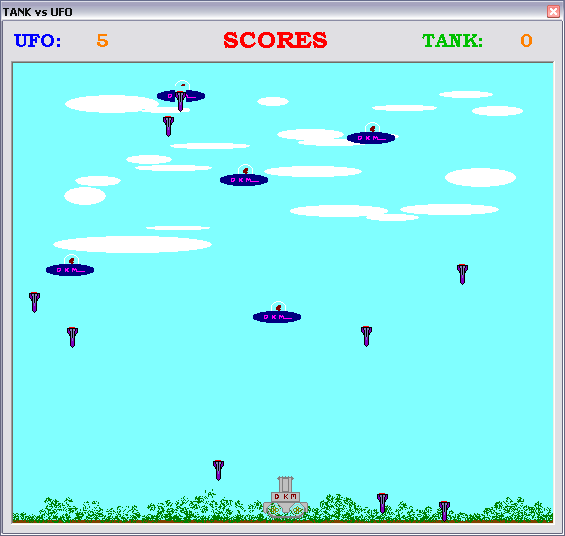 The controls are as follows: IN ORDER TO FIRE, THE TANK MUST BE MOVING FORWARD! 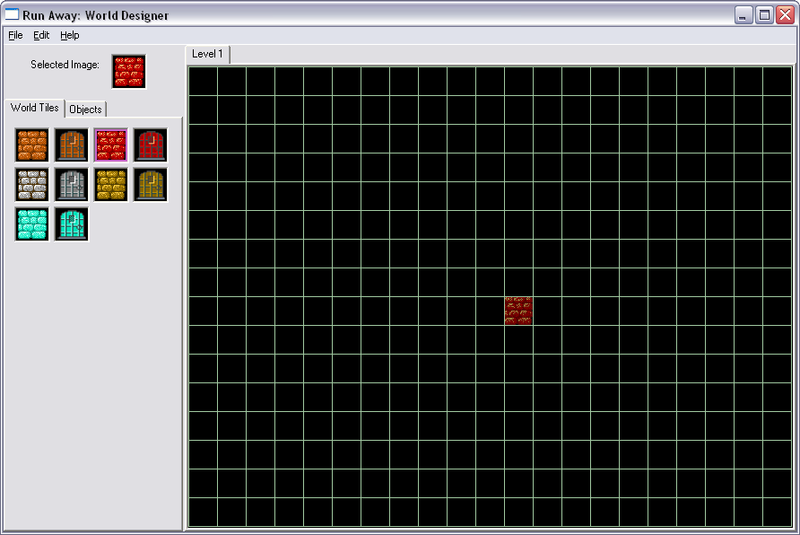 This is the original game I made when learning OOP in VB.NET 2003, in 2003/2004. It's nothing special, but it runs ok. This uses GDI+ and mmsound - NO DirectX. I never really made it as complete as I wanted, but it does do a good game of 21 with various levels of difficulty! WebMin: A complete linux administration tool all done using a web browser. I didn't make this, but it is a very useful application.